One in 68 children in the United States has an autism spectrum disorder, a 30% increase from 1 in 88 two years ago, according to the CDC. For an individual with autism or for families with children on the autism spectra, attending a movie in a theater can be wary and unpleasant. 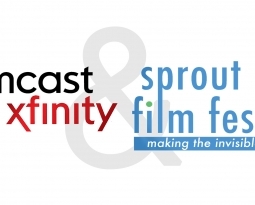 Sprout has decided to crate an Autism Sensory Friendly Program during which the theater will have its lights on, though dimmed, the sound will be turned down lower than usual and audience members are able to move around and not be fearful of the “Silence is Golden” policy most theaters enforce. 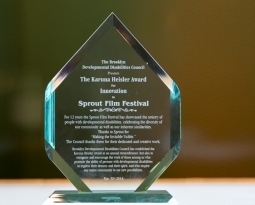 Inclusion is a big part of who we are at the Sprout Film Festival. We want to create a safe and comfortable environment for individuals, their family and fiends to come and have the chance to see a movie together. The Autism Sensory Friendly Program features 7 short films including documentaries, animations and music videos. 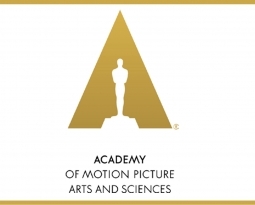 All of the films in this program are about and featuring subjects with Autism. Plus, two are made by individuals on the Autism Spectrum. The film Regione Caecorum (In the Land of the Blind) is a short animation created by Drew Goldsmith, an 18-year-old young man from Middleton, WI. Though Drew has autism and is non-verbal, he uses film in such a sophisticated and creative way to provoke his audience to question false perceptions, identity and labels. The 30-minute documentary Tommy will be closing the Autism Sensory Friendly Program. 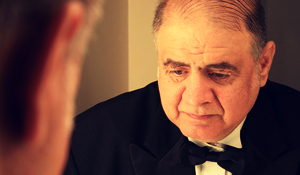 The doc’s subject, Tommy, is a sixty-year-old man with autism with the life-long dream of singing with a Big Band. Against all odds, armed with his golden voice and his all-American optimism, Tommy embarks on a quest to have the “world on a string”.